Buying a couch can be a big deal, especially for a new home. You have to think about their design, their durability, their appearance and how comfortable they are. Well, that’s what we’re here to address. 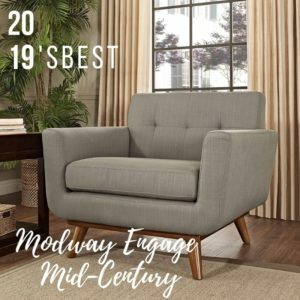 So if you are looking for comfortable and attractive loveseats for small spaces then here are 10 options for you to consider. The Modway Prospect Loveseat is a grey colored, contemporary style loveseat that is both durable and practical. It fits well into most bedrooms and is a great addition to any couple’s apartment or first time home. Moreover, thanks to its superior construction, it can withstand a little bit of stress and extra weight, which makes it a good choice if you prefer tough furniture. The Modway Prospect’s problem is that it isn’t as bright as it looks on the picture. So if you do decide to buy this seat, expect a ligter shade of grey. Also, it’s not very plush, so if you are used to extra comfortable seats, don’t expect it from this sofa. The Modway Prospect Loveseat is the black Faux leathered version of the Modway Prospect Loveseat. It was constructed to have a contemporary style that makes it a good choice for modern style homes that don’t have a lot of space. Although built for homes, the Black Modway Prospect Loveseat also works well in offices and business establishments. It’s tough construction and efficient design makes it a good choice for waiting areas and other similar places. However, the Black Midway Prospect Loveseat suffers from the same problems that affect the other loveseats of similar designs. Its color is lighter than it actually shows on photos, and it’s not extra comfortable. The Ashley Furniture Signature Design Loveseat has two main benefits. 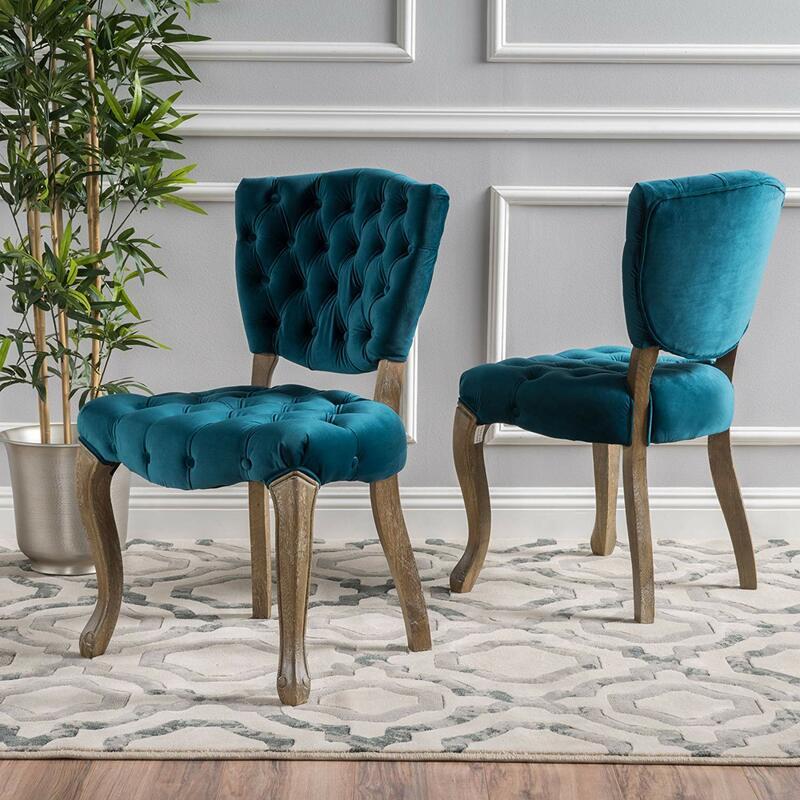 First is its classic style, which makes it a good choice for those of you who prefer classic or traditionally designed loveseats and furniture. Secondly, it’s very comfortable. Individually “pocketed” coil seat cushions offer great comfort and support. However, the Ashley Furniture Signature Design Loveseat also has a few problems. Its arm rests don’t have a lot of padding, and the same is true for other areas. The biggest problem, though, is that this loveseat is very delicate and can get damaged rather easily. So if you do decide to buy it, be sure to put it somewhere safe. The Serta RTA Palisades Collection Loveseat is a durable, practical and easy to clean furniture. It’s also easy to assemble, while its textured fabric is resistant to stains and bad smells. Also, the RTA Palisades’ decorative pillows are quite comfortable despite their unusual appearance, and the same is true for the arm rests which feature supportive memory foams. On the other hand, this loveseat doesn’t look very impressive in every home. Its gray colour doesn’t fit well in every paint color. Furthermore, certain parts of this couch can feel a little stiff, and there are areas where you may need to wiggle a little to feel really comfortable. 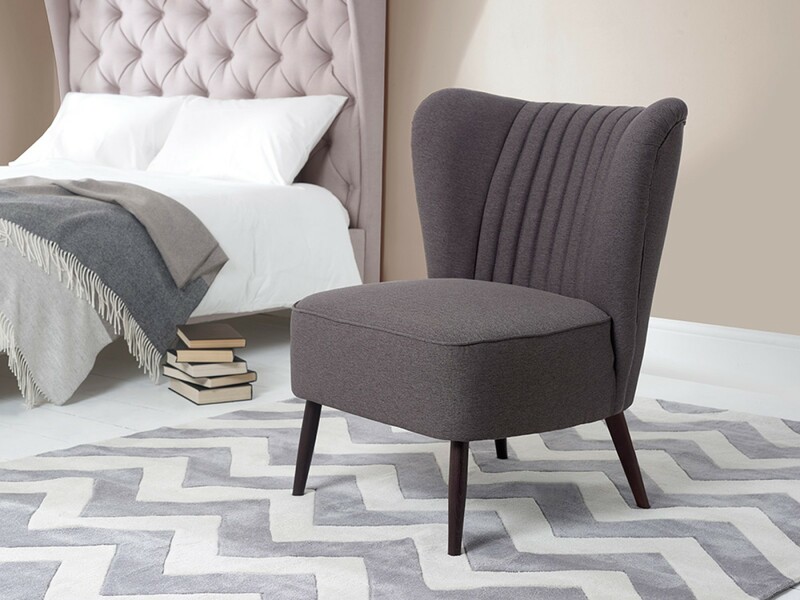 The Stone & Beam Kristin Sleeper Chair is a small but very stylish chair. Solid wood frames makes this chair very strong, while its polyester and nylon fabric offers a great deal of comfort. The best thing about Kristin Sleeper Chair, though, is its aesthetics. It looks great in almost any room, and can brighten up even the most boring living rooms. Of course, it’s also worth mentioning that this particular furniture costs a lot. Add the fact that it’s not easy maintain, and you basically have a chair that is too high maintenance for most homes. So if you don’t like expensive, high maintenance furniture then this item may not be ideal for you. The Signature Sleep Devon Sofa is a modern style sofa that features wide track arms, tufted backs and blue linen upholstery. It’s not the most impressive looking couch in the market, but it offers a good mix of comfort, size and durability. The Signature Sleep Devon Sofa/Sleeper Bed also offers a very comfy mattress that is both easy to use and maintain, perfect for people who have guests all the time. It’s only real problem is that certain parts of the sofa feel a little stiff. This is particularly true for the areas close to the arms. These areas feel stiff, though they may fade away as time passes by. The Zinus Mid-Century Loveseat is a nice retro looking couch that fits well in most modern homes. 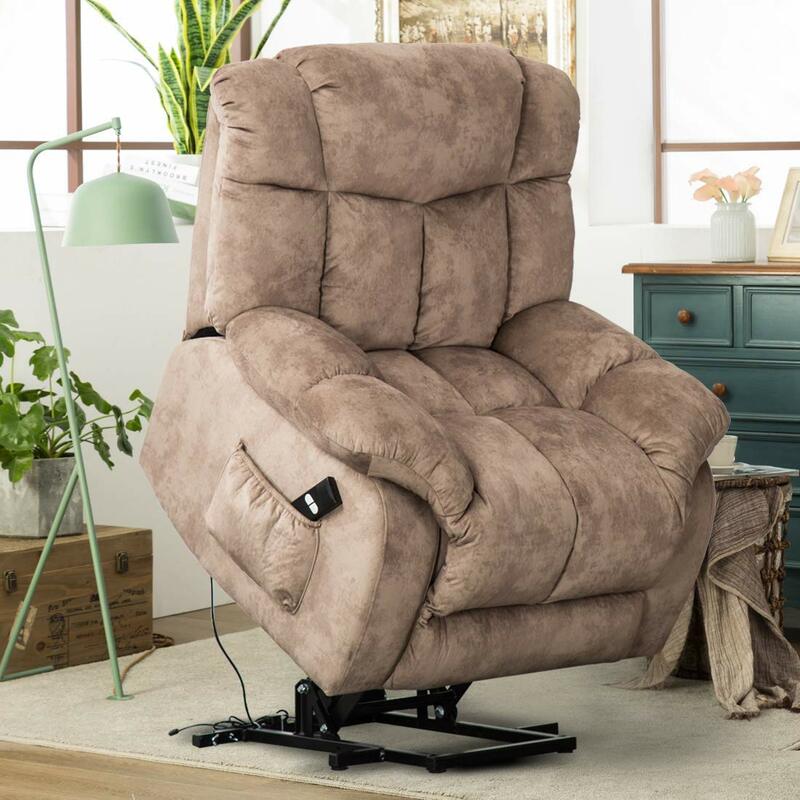 Not only is it easy to assemble, it also features button tufted back cushions for optimal comfort. The couch is also easy clean and offers enough space for three people at a time. The Zinus’ structure also makes it a durable and stable sofa, perfect for people who like tough furniture. However, the Zinus Mid-Century Loveseat also has a couple of problems. First, the sofa is a bit steep, which means that if you lie down on it, you’ll feel like you’re constantly in danger of falling over. And secondly, it’s slight larger, which means that it won’t fit in very small rooms. The Rivet Cove Mid-Century Tufted Loveseat is a simple and easy to maintain couch. As its name suggests, it has mid-century aesthetics, but it also has a very modern structure. It includes a sturdy hardwood frame and solid beech wood legs for increased durability and stability. So it’s a great choice if you want durable and low maintenance furniture. On the other hand, the Cove’s fabric is not that soft and it’s a little on the rough side. So it may not be the best choice for people who consider comfort a priority. Another problem is that the legs gives a feel of being not that strong. The Rivet Apex Oversized Cushion Modern Sofa is a relatively large, mid-century style square shaped sofa that boasts good durability and simple lines. A hardwood frame reinforces the corners and adds increased durability, while its simple parts make assembly and maintenance easy chores. 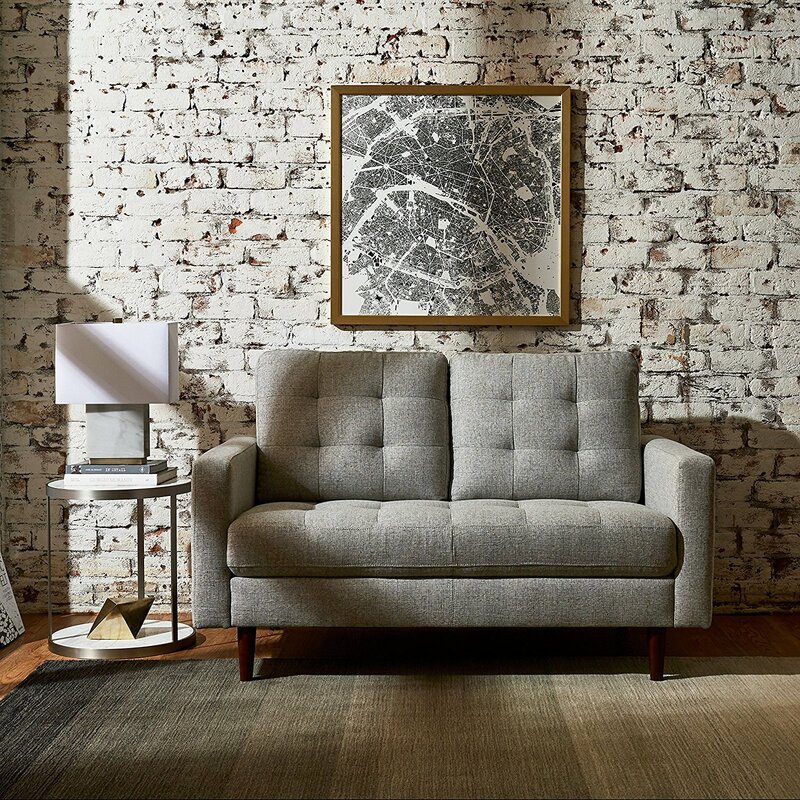 The Rivet Sloane Mid-Century Tufted Modern Sofa is a stylish but durable sofa that offers a good mix of comfort, durability and low maintenance. Like many Rivet products, the Sloane includes a hardwood frame and solid beech wooden legs for stability. Also, it’s easy to assemble, clean and maintain. Best of all, however, is that its tufted cushions are both comfortable and attractive. So if you’re looking for a Rivet couch that doesn’t feel stiff then this is a good choice for you. The Sloane’s only real problem is its stability. Although it doesn’t feel as stiff as other Rivet sofas, it can still feel a little off balance if you haven’t installed the legs correctly. Therefore take care of that if you ever experience this problem. So, We’ve covered a lot of sofas here, but the most important thing for you to consider is whether or not it fits in with your home, and therefore your life. So before you buy any couch, make sure that it’s something that you can live with for years or even decades.